Jim Towey brings more than 29 years of extensive technology and business leadership experience to the role. 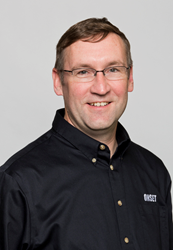 Onset, a world leader in data loggers and monitoring solutions, today announced that Jim Towey has been named as the company’s new president. Onset is a leading supplier of data loggers and monitoring solutions. Based on Cape Cod, Massachusetts, the company has been designing and manufacturing its products on site since its founding in 1981. Visit Onset on the web at http://www.onsetcomp.com.